'Tis the night before Thanksgiving and all through the house, the excitement of family gathering has me scurrying like a mouse. The projects I've started have yet to be completed, yet here I sit blogging as I'm physically depleted. All tongue-in-cheek aside, I am so thankful for this time of year when the holidays give us excuses to spend time around the table with family and friends. There is something so special about breaking bread with others. Sharing food and conversation around a table laden with soul comforting food brings a sweet satisfaction to my heart. I hope your Thanksgiving, whether it be with many or a few, begins with giving thanks to God for the many blessings He has given you. Thank you Lord for keeping me safe through the night. Thank you too for waking me before the morning light. Thank you for giving me strength for the day that lies before me. And thank you Lord for reminding me to start on bended knee. Thank you for the love I have swelling in my chest, For family, friends, and those Lord, I have not yet met. Thank you for the many blessings you have showered on my head. And I thank you Lord simply for blessing me with daily bread. 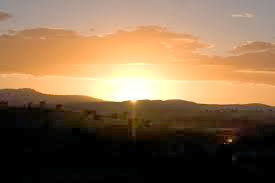 In this early morning stillness, I give thanks from deep within. For without you Lord in my life, I'd be miserable in my sin. But you Lord have plans for me, plans for my future and my hope. Without you Lord in my life, I know I could not cope. 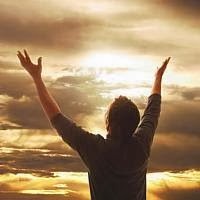 As the sun begins its rising in the stillness of this morning, I thank you Lord deeply, for stirring my soul into yearning. 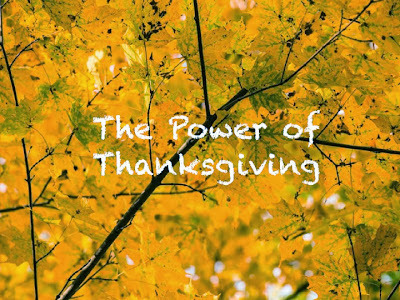 Have you ever thought about thanksgiving, as in expressing gratitude to God, as an offering? In the old testament, it was law to offer sacrifices of animals to show thanksgiving to God. These animals had to be perfect, no deformities, no blemishes, these animals had to pass inspections more critical than the ones judges perform at dog shows! The person making these thanksgiving sacrifices couldn't just go into their fields and pick out any animal, they had to prepare these animals for such a time as this. There was special care given to make sure these future sacrifices were perfect. The people had to put thought into this sacrifice of Thanksgiving. These were considered "worthy offerings", so whatever was offered in sacrifice to God had to be without blemish, otherwise it should not be accepted. Philippians 4:6 Do not be anxious about anything, but in every situation, by prayer and petition, with thanksgiving, present your requests to God.7 And the peace of God, which transcends all understanding, will guard your hearts and your minds in Christ Jesus. This scripture is power-packed! Let's break this down. Don't be anxious about anything. 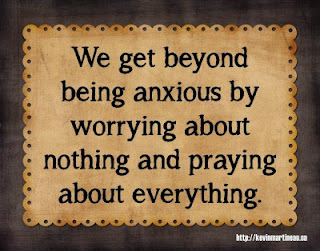 To be anxious is to worry or be nervous or at unease. We aren't to worry about ANYTHING! Easier said than done, but we can do that when we have faith in God and trust that He will do what He says He will. In every situation we are in we are to present our requests to God in prayer and petition. To petition is to earnestly and humbly ask or even beg. When we pray this way, humbly begging God, we acknowledge our utter dependence on Him while at the same time expressing complete trust in Him. If you are like me, and I'm nothing special so I suspect you are, setting aside time to say thanks is an illusion, a good thought too often unfulfilled. 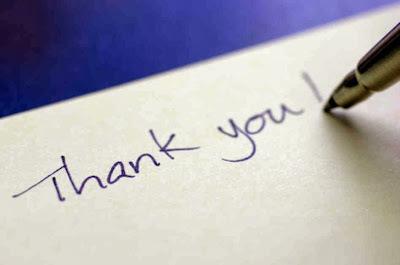 I often have the intention of writing a thank you note, then months later realized I never took the time to write it. By then...well, how embarrassing to confess that I just didn't take time months ago to thank that person for a kind deed, word or gift, so the note remains unwritten. (And yes, I just admitted that on the world wide web). Contentment is defined as "a state of happiness and satisfaction." 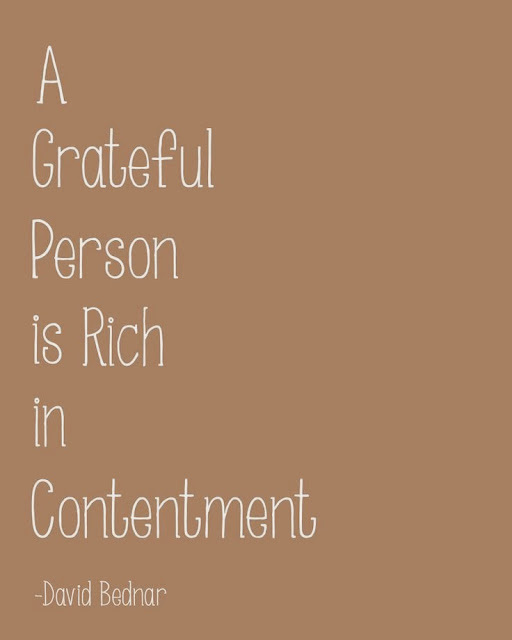 When a person is grateful (a.k.a. thankful) they are content in what they have. The apostle Paul wrote in Philippians 4:11-12 "Not that I am speaking of being in need, for I have learned in whatever situation I am to be content.I know what it is to be in need, and I know what it is to have plenty. I have learned the secret of being content in any and every situation, whether well fed or hungry, whether living in plenty or in want." Today was the first snow of the season! Facebook was buzzing with folks all over expressing their love or hate of snow. Others were poking fun at the drivers who, every year, act as if they've never driven in snow before. Ecclesiastes 3:1 states "There is a timefor everything, and a season for every activity under the heavens..."
I grew up with the changing seasons, but later lived many years in the south where there was seemingly only two seasons, hot and brown or briefly, cold and brown. I thank God for the four season. Although cold is hardly my favorite temperature, I have learned to appreciate the good it does. Plant life hibernates to grow stronger in the spring, the insect population dwindles, and the earth rests under blankets of snow. This is also the season of holidays, snowmen, and a time to catch up on indoor projects! Thank you. An expression used when acknowledging a gift, service or compliment. Such a short, simple phrase can produce immense feelings in both the giver and the receiver of this phrase. Have you ever had those times when 'Thank you' just didn't seem to be enough, yet it seemed to be the only words to say? Have you been on the receiving end of 'Thank you' when the person saying those words had tears in their eyes and love in their hearts? There is power in those two simple words. Very recently I received a sincere thank you from someone who usually doesn't verbally express their thanks. Those two words so often neglected, spoken softly and with eye contact, communicated more than just an acknowledgement of my services. I sensed the gratitude, and a tremendous amount of love, in that simple expression. 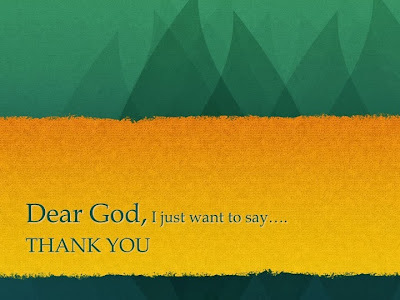 There is a song called 'Give Thanks', written by Henry Smith and recorded by songwriter and singer Don Moen. 'Give Thanks' is simple in it's lyrics but powerful in it's message. I Thessalonians 5 says "16 Rejoice always,17 pray continually,18 give thanks in all circumstances; for this is God’s will for you in Christ Jesus." So many people struggle to give thanks when life hits hard. This scripture doesn't say to give thanks FOR those trials, but to give thanks IN all circumstances as we go through them. I am thankful for new beginnings. The arrival of our new little granddaughter was much anticipated and long in coming. Not just the nine months of watching our daughter's belly grow, but the days of early labor and over 54 hours of hard labor, took its toll on everyone. While we all were rooting for a natural and speedy birth, our new baby was delivered to us via a C-section. This precious new life is a gift. This baby girl, her very own name meaning 'Gift from God' reminds us all that God knows the big picture and we are just a small part of His plan. We don't know why this labor and delivery was so hard and went so long, but there is a reason that we will just have to wait to see why. For now, we are happy with this new little life. We are all awaiting the arrival of a new little one in our family. This baby has been incubating for 42 weeks and very happy in her little cocoon. Momma has been in a low stage labor for about 48 hours at this point and is growing anxious and weary of the intensity of the contractions and the overdue expected arrival. It's hard to stand by and watch my baby girl be anxious about the birth of her own baby. I want to cradle her as I did when she was little. I want to take away those uncertainties and anxious feelings. I know she's more than ready to release her little one into this world so that she can love on her and raise her. But it's in God's hands. 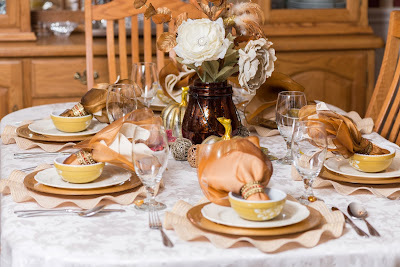 Anyone who has read my blog for at least a year, knows that in November I take advantage of the month that reminds us of thanksgiving, that is an expression of gratitude, to God for the blessings He bestows on us. There is so much restorative power in realizing our blessing and giving thanks to God for them. November snuck up on me this year with all the recent busyness that has taken me hostage. It was just this morning, as I was getting my morning hugs and kisses from the man I would be lost without, that I realized that this is November....as in..... NOVEMBER! In the past, this would have sent me into a panic to know I had missed a self-imposed deadline, but this year my first thought was...'I will be thankful for self-forgiveness.